We’re a small, nimble, and productive team working out of sunny Boulder, CO (come work with us!). In the four years since we introduced the first version of our product we’ve grown to tens of thousands of customers, hundreds of thousands of giveaways and process millions of entries every week. While our team plays the biggest role in building, marketing, and supporting our products, we also leverage a technology stack we’ll share with you below with the hopes you might find a few tools to help give your business some extra leverage. This technology stack is from the business team side of Rafflecopter. To see what our killer dev team is up to you can check them out at http://make.rafflecopter.com/. Asana (Project management) – Asana helps keep us on track with everything from team meetings to our content calendar to product rollouts to marketing plan management. We like the simple, lightweight, and flexible UI that let’s us create projects and tasks to our needs. Intercom (Customer communications) – Intercom helps us send personalized communications, via email and in-app, to customers based on their individual behavior within the Rafflecopter app. 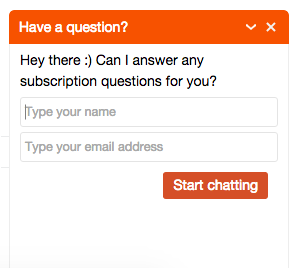 Our new customer on-boarding is a good example of how we use Intercom allowing us to personalize the on-boarding messages each new customer receives based on their subscription plan, login activity, feature usage, and more. Olark (Customer communications) – Olark allows us to provide live chat support to customers. Instant access to human support has become an expected feature in the Software As A Service world so we happily provide this level of support to VIP subscription customers. We also use live chat on key pages of our site for visitors wanting more information on our services before signing up. 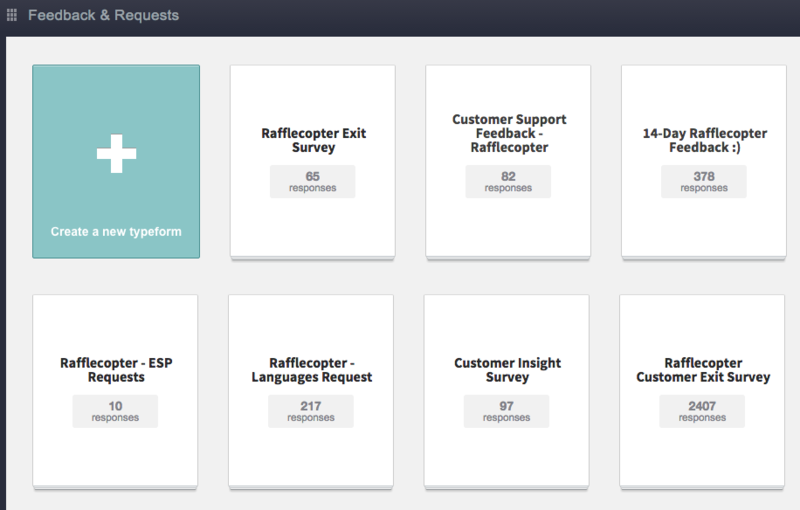 Zendesk (Customer support) – How do you support tens of thousand of users with a two-person support team? Zendesk. We’ve shared how we scale customer support before. In addition to successfully processing over one thousand of our support requests per month, Zendesk also powers the Rafflecopter Knowledge Base. Google Analytics (Analytics) – This free web analytics tool is a standard in almost every business with a website. It’s a powerful platform that helps us analyze our overall website performance right down to specific campaign performance. You can read more about our Google Analytics experience on getting certified, an intro to UTM parameters, and tips on UTM naming. Mixpanel (Analytics) – If you have a website, hopefully you’ve mapped out a set of expected paths visitors take to complete the goals you’ve laid out. 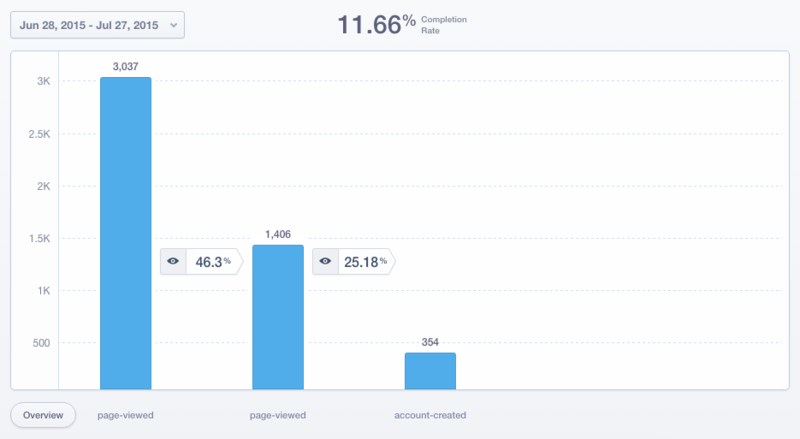 Mixpanel lets us define those paths and measure how good (or bad) a job we’ve done at designing the path using funnels. There are also helpful reports available to measure retention and complete granular ad-hoc analysis on the behavior and performance of your website. Baremetrics (Analytics) – One of the benefits of being a SaaS business is the relative ease at which data is available on performance. There are also pretty well defined best practices when it comes to measuring the performance of a SaaS business. Baremetrics integrates with our payment processor, Stripe, which has made it super simple to take our available data and turn it into an actionable dashboard. Stripe (Payment processing) – We use Stripe to process all our transactions. It has a powerful and flexible API that allows us to integrate transactions into our customer flow. Also, Stripe’s strong API makes it easy to integrate with our other business systems. Google Apps (Productivity apps) – Google apps have become a standard for a lot of organizations. We love that they are cloud hosted, allow multiple editors and commenters simultaneously, and integrate with the rest of the Google ecosystem. Sendgrid (Email) – This flexible email platform helps us to send customized transactional emails along with marketing focused emails. Hootsuite (Social media management) – With over five-hundred thousand followers on Twitter, managing the volume of mentions and direct messages we receive would be challenging without Hootsuite. This tool allows us to monitor and respond to Twitter mentions across multiple team members. Buffer (Social media management) – One of the reasons our Twitter following has grown so large is we like to publish quality content from us along with other content outlets we respect. Buffer lets us schedule our posts in advance and provides post engagement analytics. Github (Landing page builder) – Our dev team uses Github extensively and built a tool for the business team to use to create landing pages like our monthly giveaway and enterprise solutions pages. Our front end site is built using the same system making it easy to create landing pages that match the look and feel of the rest of the site. 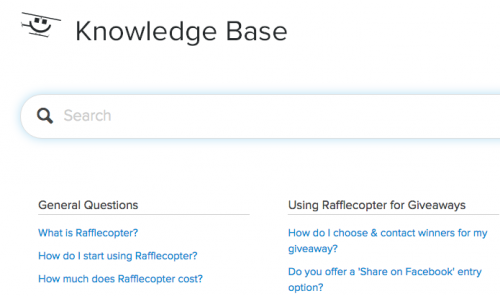 WordPress (Blog platform) – The Rafflecopter Blog is on the self-hosted version of WordPress using a custom child theme on the Genesis parent theme. WordPress is a stable, standard blogging platform with lots of widgets and tools that help us extend the functionality for our needs. Typeform (Customer feedback) – We LOVE feedback! We use Typeform to get input from new customers, cancelled customers, for our Net Promoter Score survey, and several other use cases. It has a nice, clean UI and has a feature set that offers the flexibility we need. CloudApp (Screen sharing) – Since all of our support is over email and live chat, being able to quickly and easily show screenshots and screen recordings is important. CloudApp lets us take either one and share a URL containing the image or video. Spotify (Work music) – Spotify is the music service of choice for most of us to keep productive throughout the day. Do you have any favorites on this list or any of your own to add? Let us know in the comments!